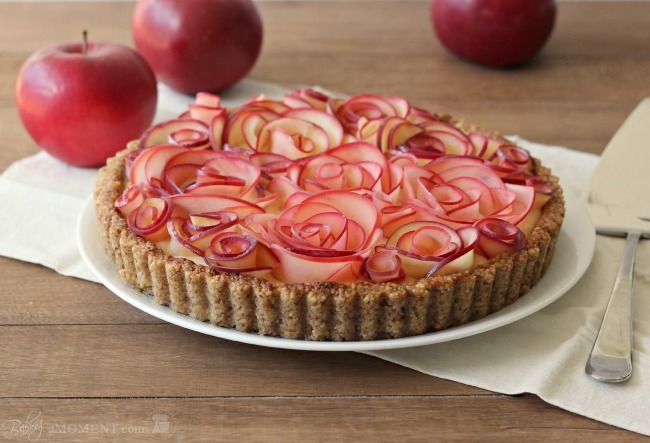 The bonus to this beautiful and scrumptious looking tart? It’s Gluten-Free!! If you have a tree nut allergy, replace crust with a graham cracker crust made from gluten-free graham crackers (or regular if gluten is not an issue for you). As I do have a tree nut allergy, we will be opting for the gluten-free graham cracker crust for our Thanksgiving feast coming up in just 16 days!! Please comment back if you decide to try this. I would love to hear your opinions! !